I learnt this rhyme after my first daughter was born. 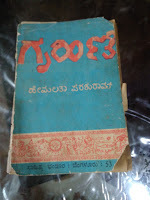 Being a Kannada medium student, never dared to learn English till I was in fifth std. And then I had to learn to teach my daughter. I took the help of video tapes. Why am I sharing this with you all is, I took years to learn a rhyme on buns, and now it's 45 years to learn to bake a bun and paav. 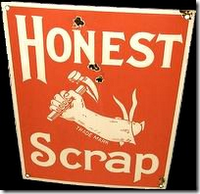 It's not that I never tried before, but in vain. I was failed many times, wasting all the money to buy the ingredients. But never left my hope though got disappointed every time. Jiske paas ummeed hai, woh lakh Baar haarkar bhi nahi haaratha! And here I am today, with no fail recipe of ladi paav. 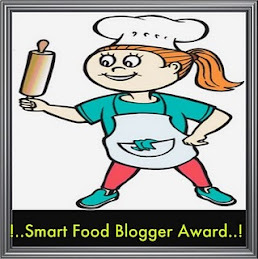 Of course, I too have followed the recipe from other blogs, But I got the perfect recipe that I am happily sharing. 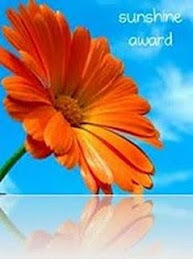 The most important ingredient which plays either the role of hero or many a times a villain is the "YEAST". After this experiment I have come to the conclusion that "Yeast is like husband or his mood!!! if you have good yeast, then your paav or bun or bread will come out the best or else! !Same with husbands too!! 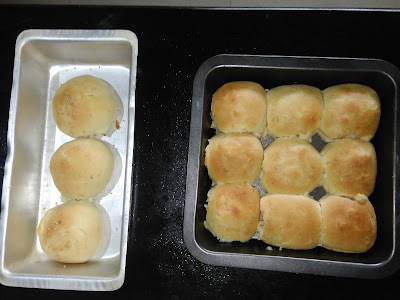 I browsed many blogs and websites to learn to bake these paav and ended up happily with two sites. 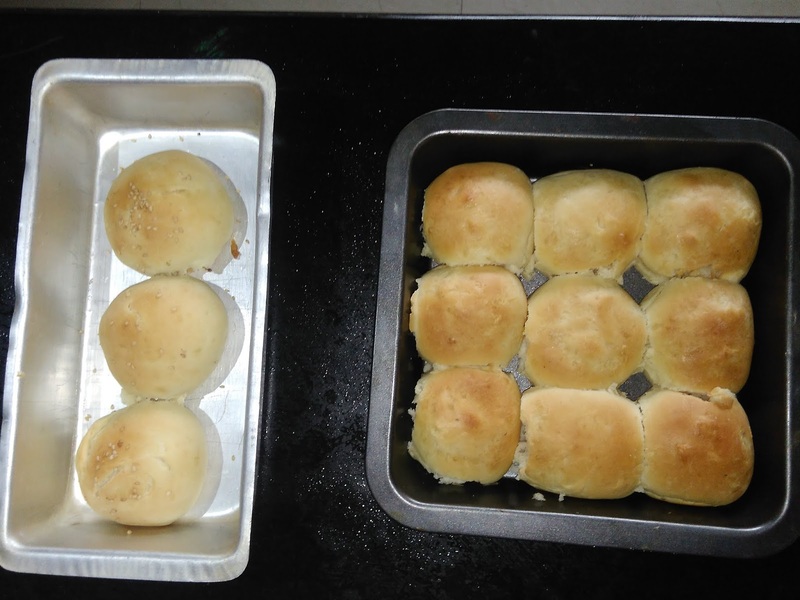 One is HOMEMADE LADI PAV AND BUNS FROM Ruchi's Kitchen. 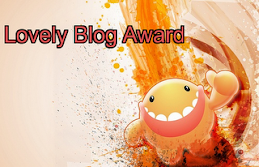 She is an excellent blogger. 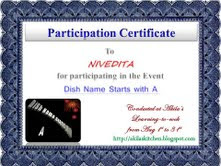 Her recipes are filled with all the information and her pictorial post will help any new comer to learn cooking. And one more is from ladi paav from Tarla Dalal. 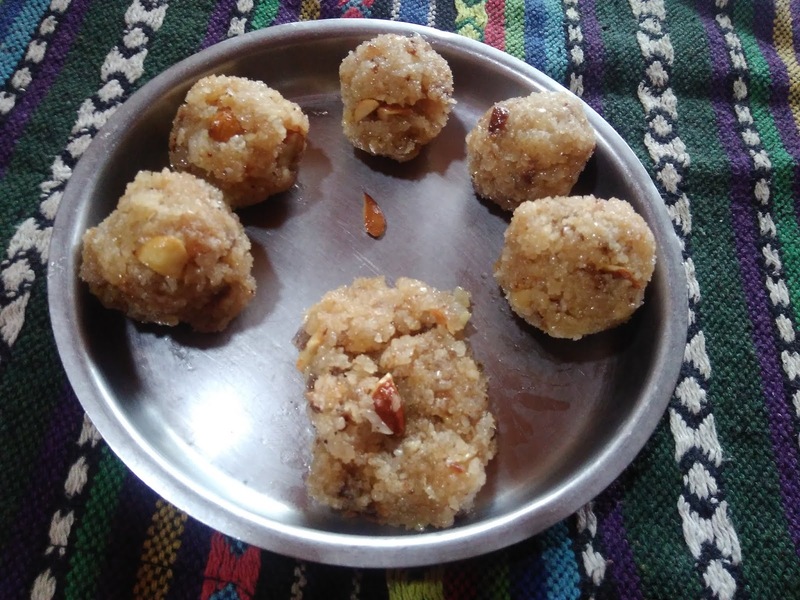 What I liked about Ruchi's recipe it's more clear and her special tips will help you and boost your confidence to go ahead with the recipe. To prepare yeast, follow the measurement and the method very strictly. 1. Let's prepare the yeast mix first. Because if the yeast is not good or active and we don't get proper frothy solution, the outcome is disaster. Just throw the mix and restart the whole process. Take all the ingredients under yeast preparation in a deep bowl. Mix well and keep it aside for 10 minutes or till you see the froth or boils. It may take another 10 more minutes. 2. Mix the butter and Oil in another bowl. 3. Take All Purpose flour, salt and baking powder in a big bowl. Mix well. 4. Add the yeast mix into the flour. Mix well. 6. knead into make soft dough for 4-5 minutes. "KNEADING IS VERY MUCH NEEDED"
If your finger comes out clean when you insert in the dough, then it is ready for next step. 7.Now add the butter and oil mix to the dough and start kneading for 6-8 minutes. Knead it by stretching, folding and the way you wash the cloth. 8.Cover it with a damp muslin cloth and keep it aside for 2 hours(again depending on the season, During summer it takes less time) But wait till it is doubled. Check the dough by inserting your finger. The dough should not bounce back. 9.Take the dough and again knead it for another 5 minutes. Divide into 12 equal balls. 10.If you like it in the bun shape you can just take a bigger size and give round shape and bake. Sprinkle some sesame seeds on the buns. place the balls in to baking pan at equal distance. Cover it with damp cloth again for 45 minutes. Bake these Paav in a pre-heated over on 200 degree centigrade for 20 minutes. 11.Remove from the oven. Allow the paav to cool. Brush the paavs with milk and butter. 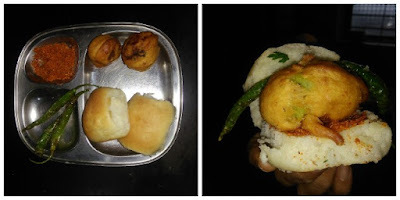 Enjoy it with butter, make Bhaji Pav, vada pav, Dhaabeli, Missal. If you follow my recipe and try this, please let me know. I would be the happiest to receive your comments. Next from my kitchen is Vada for Vada paav. Stay tuned. Old is gold! Books, food, wine are the best when they are old. I have a good collection of cookery books since many years. Some were purchased, I borrowed few from my aunt, few were the Xerox copy of original ones, and the most favourite ones are the gifted books. This reminds of my marriage. When my relatives came to know that I am Getting married to a Sindhi guy, though they were little upset, but they gifted me a Sindhi cookery book when I went to meet them first time after the marriage. That too, two of them gifted the book by same author. So sweet of them, I am always grateful to them. I learnt most of the Sindhi dishes from those books as we never had internet to refer . And another best gift was from my brother, which is a collection of five books by Sanjeev Kapoor. When I remembered the event of cooking from the books, I played a game. I closed my eyes and picked up a book. This one came in my hand. Then blindly I opened a page thinking that whatever recipe I get in that page I will make that one. And I got this Burfi recipe. Though I was little disappointed, I thought let me not cheat. And then when I checked my blog, some how this recipe was never posted. This is my most favorite sweet since childhood with lot of sweet memories. I will share some other day as the post will be too long. Mix grated coconut, salt and sugar in a bowl and keep it aside for 15min . Heat 1 tsl ghee and roast the cashew and almond pieces. Transfer it to a plate. In the same kadai, add the coconut sugar mix and milk. Mix well and cook on a medium flame for 5-8 minutes, stirring it in between. Now lower the flame, add cashew powder, cardamom powder and ghee. Mix well and keep on stirring. When it starts leaving the edges, add fried nuts, higher the flame for half a minute (if you want the Burfi to be brown). Now cook on a slow flame for half a minute. Transfer it to a greased plate, cut into squares. Take little from it and make small balls. I love to eat these round ones than squares. A quick dish to satisfy your sweet tooth. 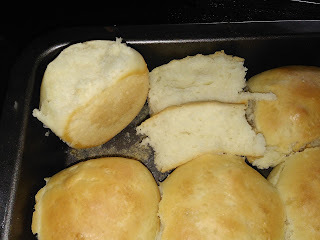 Hope you all enjoyed my post and the recipe. I would be happy if you ever try this recipe and share your experience with me. 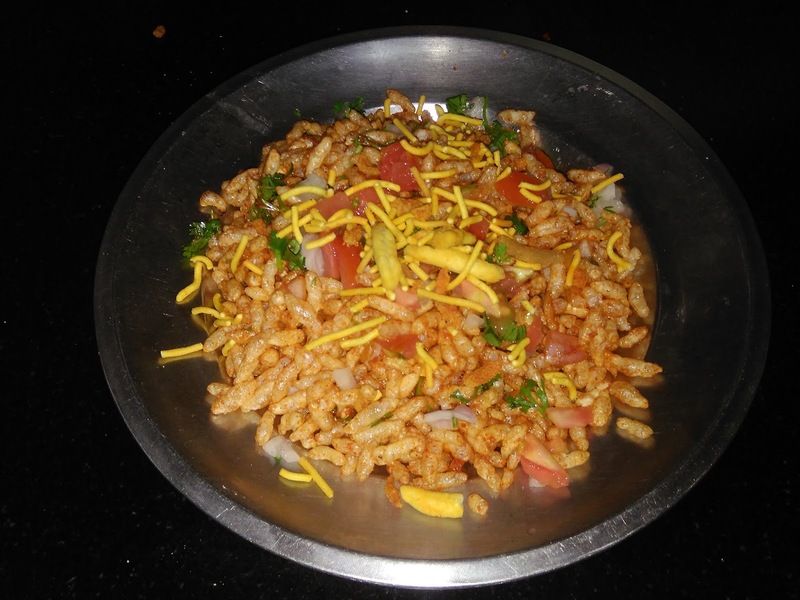 A Quick Red Masala Puffed Rice. Each person comes in your life with a purpose! Some come to get their work done, and very few people come and serve without much expectation. I am always blessed to have people from second category. And I am grateful about it. You all might be surprised about this! Today's post or recipe is from a person like that who served us for 14 years with so much love, affection and care. I am talking about an old lady who stayed with mom when mom became alone after my father's death. She wanted someone to be with her as I was living in UAE and my brother was in Maharashtra. Then this lady Neelamma entered our life. She was from a good family, and had lost her husband during the same period. She never wanted to be a burden on her sons. She was looking for a house where she will be safe and can earn money by taking care of the house. God listened the prayer from both and the wish was fulfilled. We used to call her "Ajjiri". when she came to our house she was around 50 years old. And she served us till she was 64. But! her tobacco chewing habit turned her into a cancer patient and she passed away just two years back. WE all really miss you ajjiri. Especially my younger daughter. Ajjiri loved her more than her own kids. It was in her hand that Phalguni was brought up. As she was under treatment, we could not meet her regularly in her last days. Though mom and me visited her but we were scared to take Phalguni. When doctor told she does not have more days, we took phalguni to meet her and I will never forget the way she loved her, hugged her and blessed her. And very third day she left this life. My daughter always miss her and cry a lot now also. This was Ajjiri's favorite snack which tasted heaven. I tried many times to make the way she did, but always failed. Whenever we used to feel hungry in the evenings, we used to tell her, ajjiri please make kemp churmuri(red kurmura). Now also my family tells me to make ajjiri churmuri, the name is changed now. 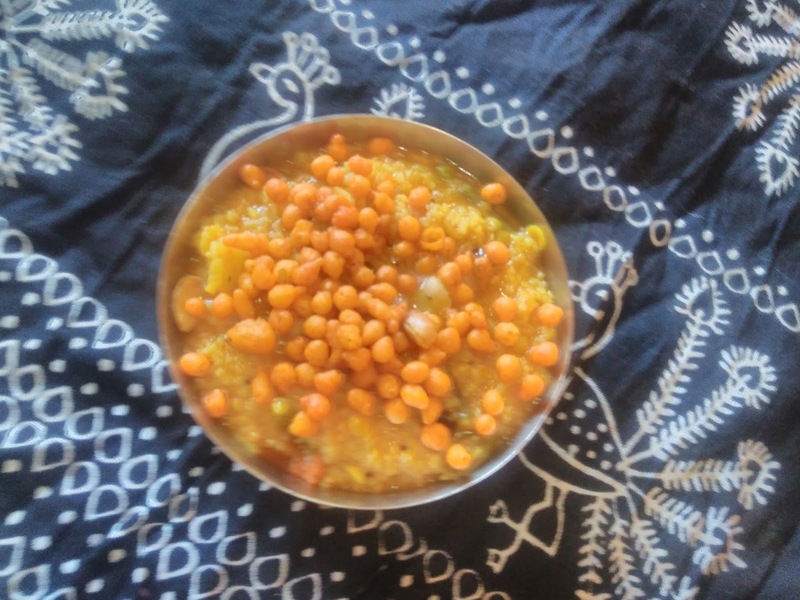 I know it's a very simple dish, but could not stop sharing this recipe with you all as I felt I should show my gratitude to her. I took this recipe(sounds silly, to write down in a diary to save so easy one) over the phone from Abu Dhabi, when I wanted to make it. Though after returning to India, I learnt directly from her, but could never make many dishes the way she prepared. She was whole in charge of the kitchen. Many years I entered kitchen only during lunch time and dinner time and enjoy all the food. 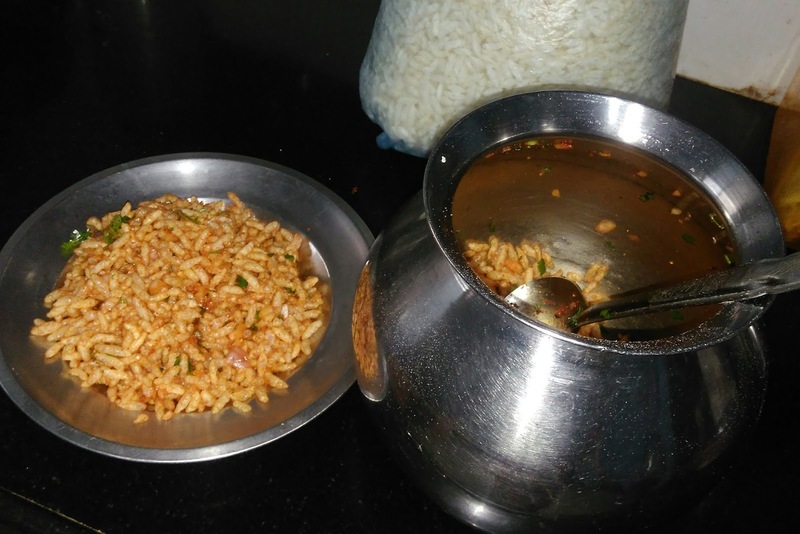 Mix well and add puffed rice. Puffed rice should be crispy. Mix well again with your hands or spatula. Ajjiri used her hands and I always felt her hand added more taste and love to the dish. 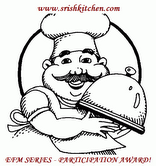 This is part of July Week 1, Cooking from Cookbook Challenge Group. 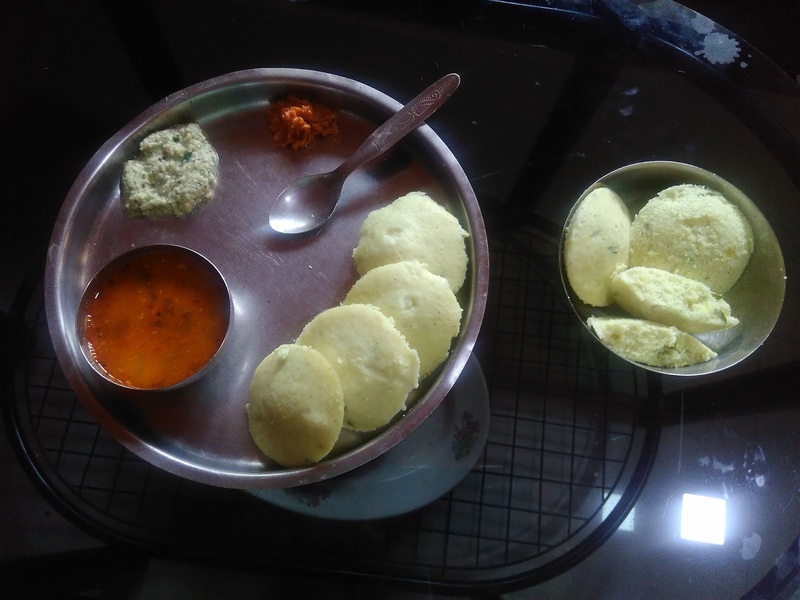 South Indian's most favorite and most regular food! And the most healthiest breakfast anyone can have. Even while travelling, it is considered as the safest food as it is steamed. And here there is one more healthy addition to this traditional recipe. I have prepared these idlys using millet. Yes! I always use millet in one or the other way in my food. 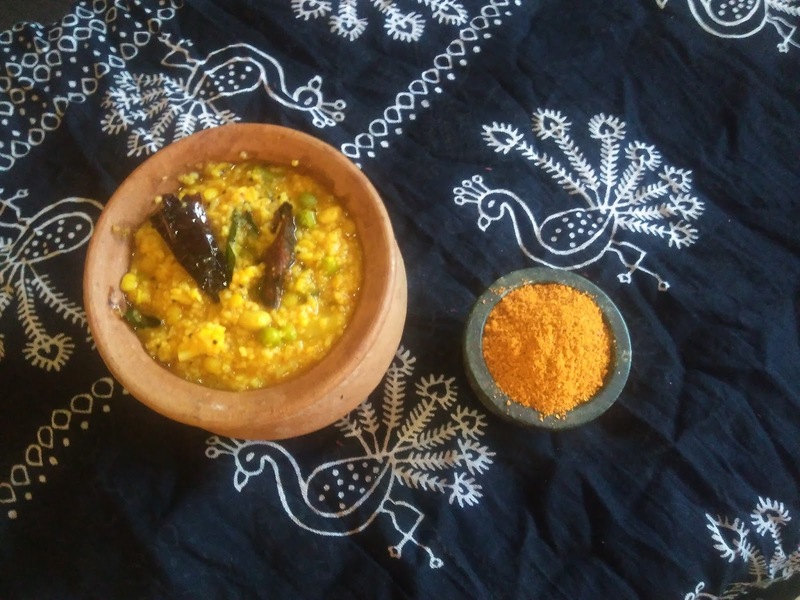 We call these millet as 'Siri Dhanya' also. Already everyone is talking or already written a lot about these millet and the benefits. So I am directly jumping to the recipe. Here I have used Baragu or Proso with rice. 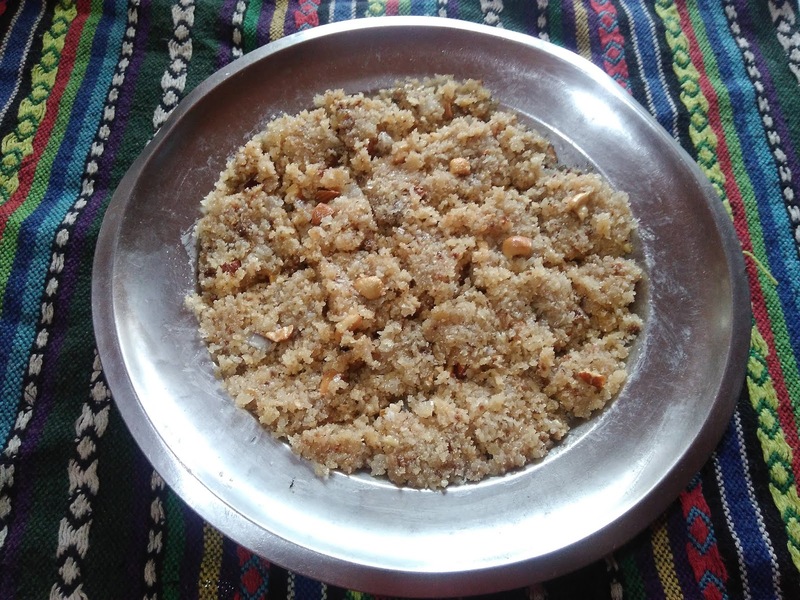 Actually we can use any millet and the taste and texture comes out the same though the health benefit is different for each millet. But please keep in mind not to use millet daily or regularly as we all know too much is too bad, let it be any thing, right? And what is this Kachipuram style? I got the recipe from a TV show where Chef Rakesh Shethi was showing. 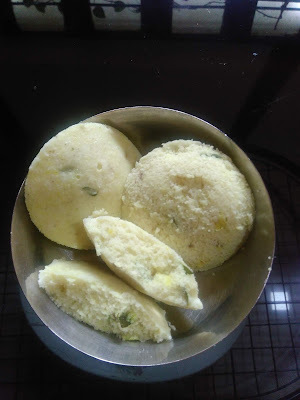 I was surprised to see that curds goes into this idly. So thought of trying it. Oil to apply to the idly mould. Take the rice, methi seeds and urad dal in a bowl and wash it twice. Take Porso in another bowl and wash it twice. Soak both in a separate bowls for 4-6 hours. Half an hour before grinding, add poha to the rice bowl and keep it ready. Add very less water to porso before grinding as more water will not allow the millet to turn into paste. Mix both the batter properly in one steel or glass vessel. Allow it to ferment either over night or till it becomes double. It always depends on the weather also. If the batter doesn't come up or doubles, then the idlys will not be soft. Add the curd, green chilli, ginger, curry leaves and fresh coriander. Keep the cooker or idly steamer on a gas stove with one cup of water. while the water becomes hot, grease the mould with oil and pour the batter in the mould. Take the idly stand and keep in a steamer or cooker, close it and steam it without the whistle(if using cooker) on high flame for 5 minutes and 2-3 minutes on low flame. Switch off the gas stove. Allow it to cool. Serve these softest idlys with your favorite chutney and sambhar or just like that with ghee. Please let me know if you try this recipe. I am really a very very huge fan of Bisibele Bath. 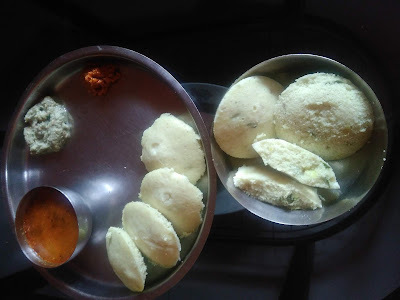 Whenever I visit Bangalore, I eat bisibele bath every day till I am there. Whenever I make at home, it's only me who eats it, as no one likes at home. But this homemade powder is a hit in my house. I saw my kids and hubby fighting to have it. 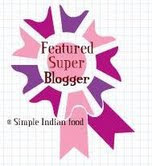 Thanks to Seema for sharing this recipe. Please visit her blog mildlyindian.com and the recipe Bisibele Bath Masala Powder for detailed recipe. 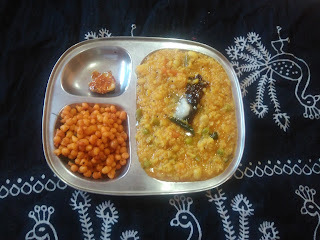 What I have changed is I added Guntur chilly with byadgi ones. 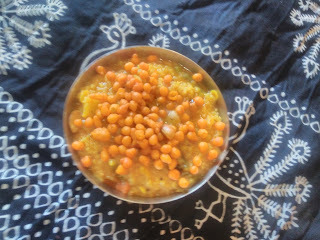 Soak 1cup rice with one cup of mixed daals(toor dal, yellow moong dal, masoor daal) and handful of groundbuts. Cut the vegetables almost 2 cups (beans, cauliflower, peas, potato and carrot) and keep ready. 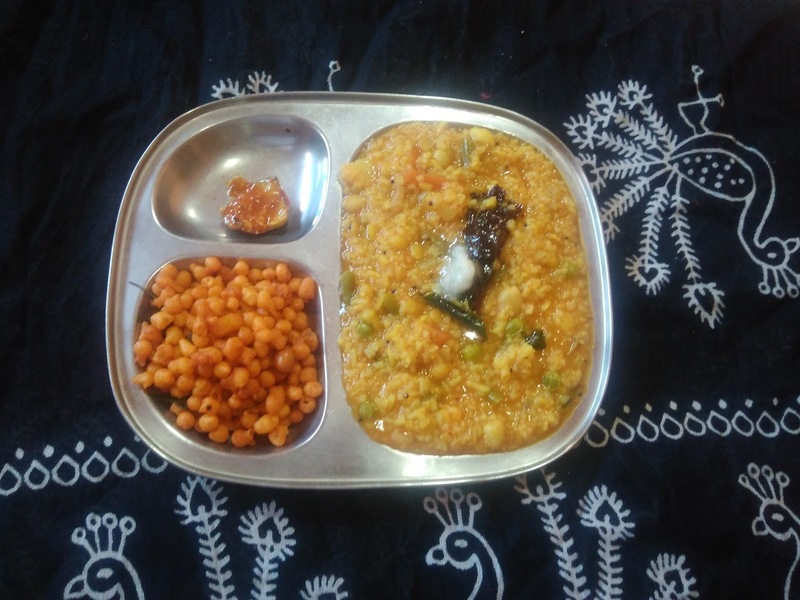 Take the soaked rice, dal and all the vegetables in a cooker. Add the double the water and give two whistles on medium flame. 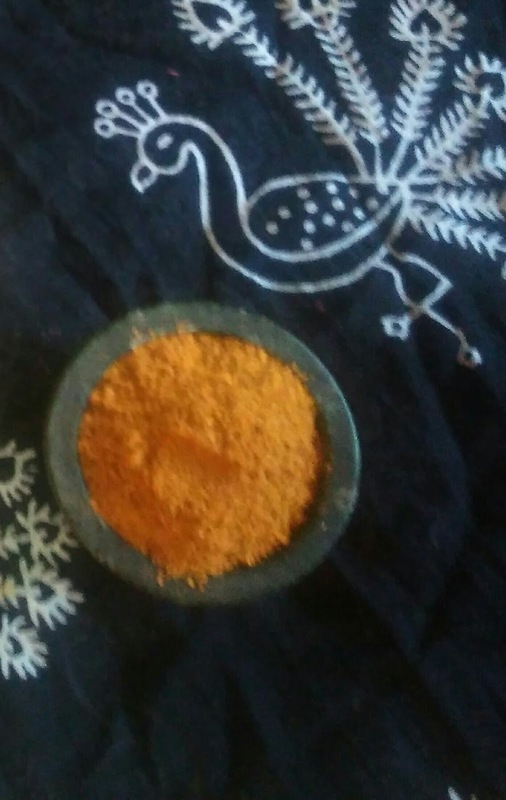 Add 2 tbsptbsp tama paste, 1 TSP haldi, salt to taste, red chilli powder 1tsp, 2tsp jaggery and our main ingredient 3tbsp of bisibele bath masala powder. Mix well and add some more water to get water consistency. Close the lid and cook on low flame for 10 min(remove the weight). Heat it, add 1tsp mustard seeds, cashew nuts, handful of curry leaves, dry red chilly and a pinch of hing. Add this to the ready rice. Mix well. Serve hot with boondi. Will you be happy to come back and settle down in India?? I love this cute chef! !